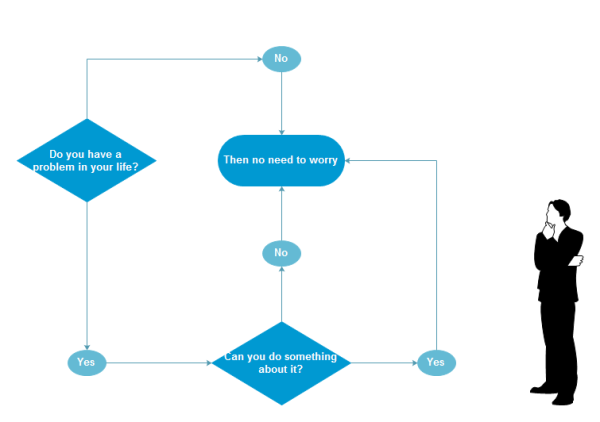 Funny Flowchart Example - Should I Worry? Though simple, this flowchart is very positive and motivating. It tells us that there's no sense in worrying about something you can't do anything about.